The spiral forming process produces accurately manufactured pipe that makes the product easy to use and, combined with high-quality welding and testing, ensures enduring dependability. Accuracy of manufacture means an exceptionally straight and circular product. This represents significant advantages for jointing, and maintaining alignment when driving in the field. Reliability of the spiral-weld process ensures a totally secure weld throughout the rigorous pile driving process. All pile products are manufactured using the same double automatic submerged arc welding process employed on high-spec pipeline. Weld integrity can be confirmed by hydrostatic and ultrasonic testing of welds. Spiral-welded steel pipe is able to support exceptionally high loads, thus reducing the quantity of piles and the amount of ancillary foundation work required with other products. Flexibility in end-preparation means that the closure plates, cone points, driving shoes and crosses are all compatible with spiral-welded steel pipe. As an alternative, pipes can be driven open-ended where minimum soil displacement is desired. Efficient splicing on-site due to the consistent circularity of pipe ends and tight tolerances of diameters. 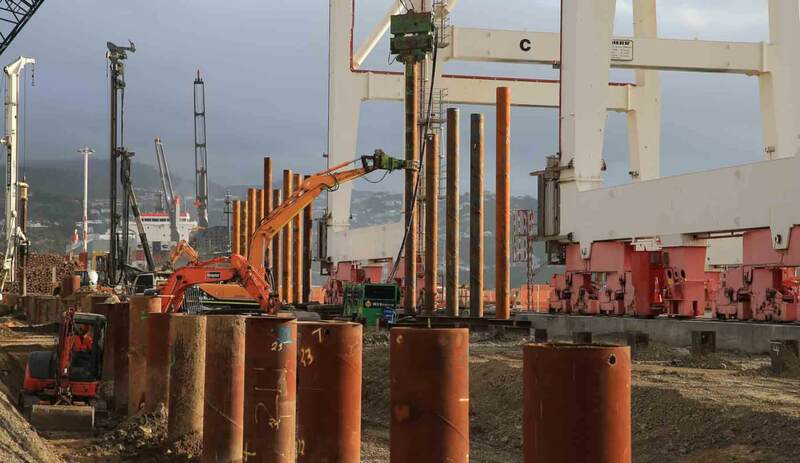 Moreover, piles can be easily spliced to extend the pile length, which is a requirement for deep driving. Numerous combinations for jointing systems (including machine-bevelled ends) are available to guarantee fast, accurate jointing in the field. Internal welding bands, supplied loose or tack-welded into one end of the pipe, can also be employed to align piles for jointing and provide backing for welding. Variable lengths can be manufactured to suit ground conditions and changing driving depths to minimise on site welding.